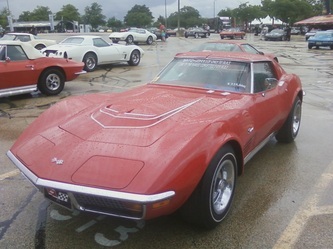 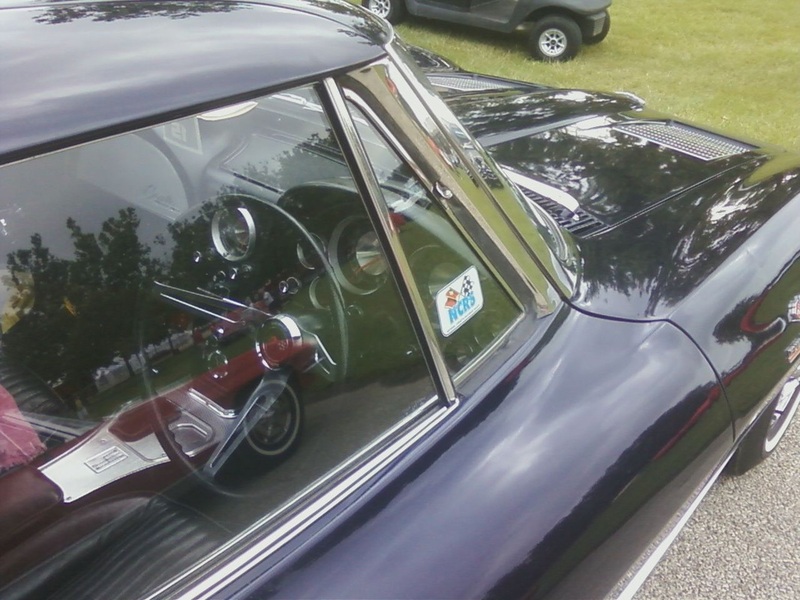 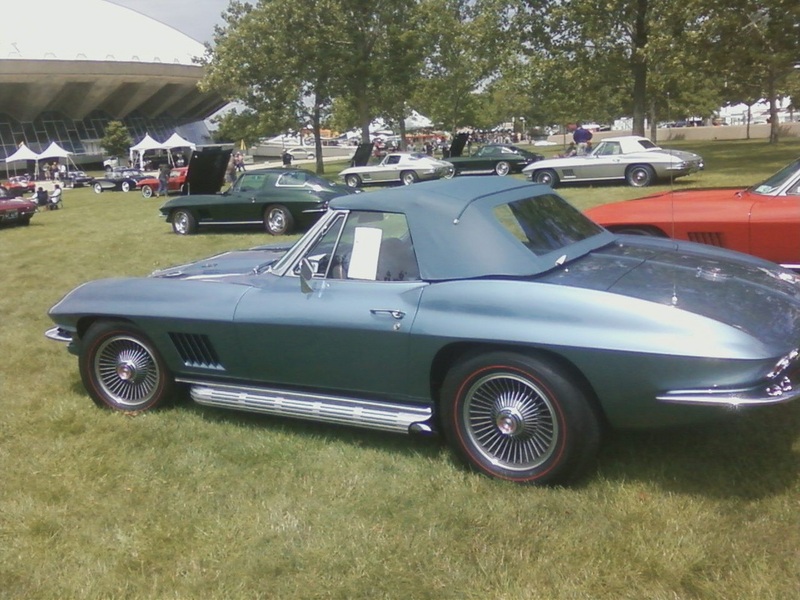 There were a lot of split windows, since this is the 50th anniversary of the beginning of the sting Ray. 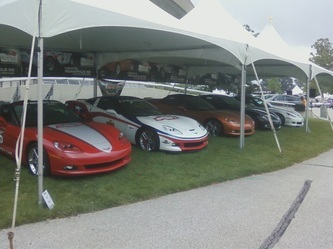 There were also two tents displaying Corvette Indy Pace cars. 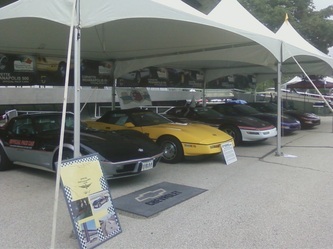 On Saturday night we filled up a parking lot with Corvettes including the pace cars, and then headed out on the Gold Tour. 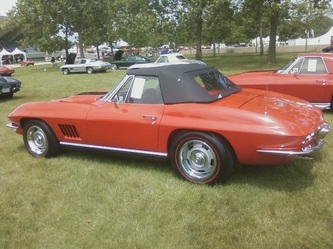 This took us through miles of countryside and then had a switchback, so you could view non-stop Corvettes coming and going. It promoted the Save the Wave. 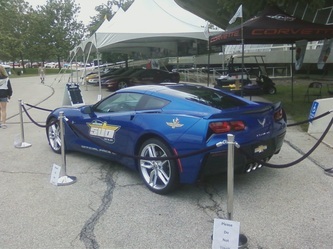 The parade route was lined with enthusiastic spectators and then ended in downtown Champaign where they had Corvette only parking. There were lots of Restaurants and shops for everyone to enjoy. 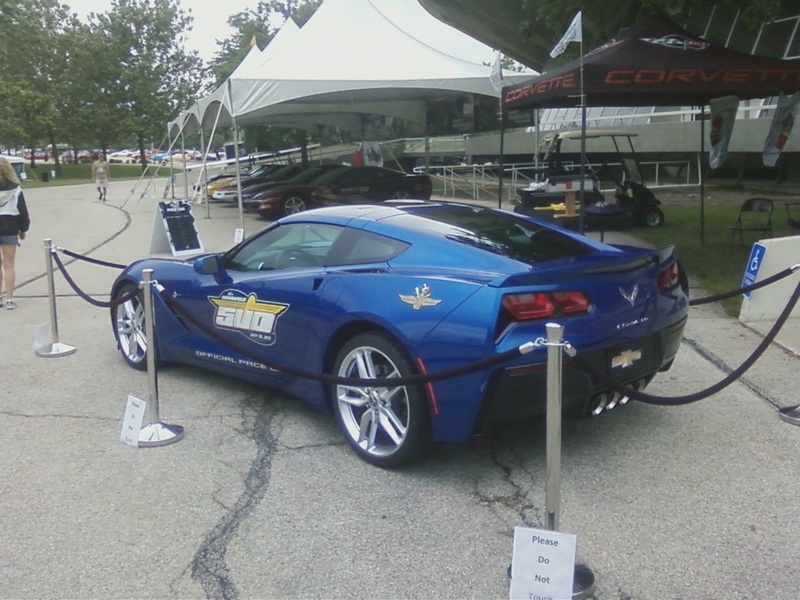 They even had a street fest ( Blues - BBQ's - & Brews ).